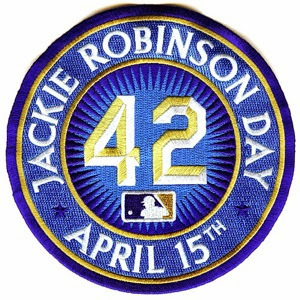 Jackie Robinson, one of Baseball’s most recognizable names, is being honored around the League today, April 15th,to commemorate Jackie Robinson breaking the Baseball color barrier. For the 6th straight year, all MLB players and coaches will wear #42. Unfortunately, there were a lot of rainouts, which mean we will have Two Jackie Robinson Days!